The world is changing. With the passing of every minute, we are going through transformation. And this transformation gets fast with the ever-evolving technology. On the same lines, the face of corporate world is also changing. As the communications technology has become strong and the interconnectivity has become reliable and dependable, more and more people are taking up the option of remote work. Remote work is becoming popular because of the many benefits it brings to the employees and the employers. The employers can tap a greater pool of talent and are not restricted to the local talent. The employers also save up money by saving the overhead costs of employee maintenance. Moreover, hiring talent from area third world countries also helps as the dollar is strong. The employees benefit from Remote work because they save up the time and money traditionally spent on telecommuting. They also get flexible work schedule and can be their own boss. They can also tend to the personal responsibilities while building up their professional career. This option works great for women who opt to stay at home for their young ones. Until a few years ago, many people stayed away from Remote work. The biggest reason was lack of trust and insecurity. The employers felt that the remote employees might be dishonest in terms of delivering quality work. The employers often felt that the employees might log more hours then they actually worked. The employers felt that their remote employees might outsource the work for profits. All these reservations made employers nervous towards hiring the remote employees. it totally depends upon the discretion of the remote employee. This system is very easy to cheat. Some employers make use of applications that capture the screenshots e.g StaffTimerApp. These screenshots are used to calculate the time spent on work related and non-work related activities. Hence, effective Time Tracking is carried out which is much more efficient than the old school Timers. There are some very smart applications in the market. Some even have the capability of instantly capturing the snapshot of the employee’s screen. This way the employer can remotely monitor the work of its employees and see what they are up to. Some applications go even further and offer real time screen sharing to give visual access to the employees’ screen. This feature comes in handy when a Remote Employer wants to track the activities of his employees. It can also help when there is a bug or an issue that isn't getting resolved by the employee alone, in that case, the employer can visually access the screen of his employee and help and resolve the issue. Time Tracking is important. But Productivity tracking is even more important. 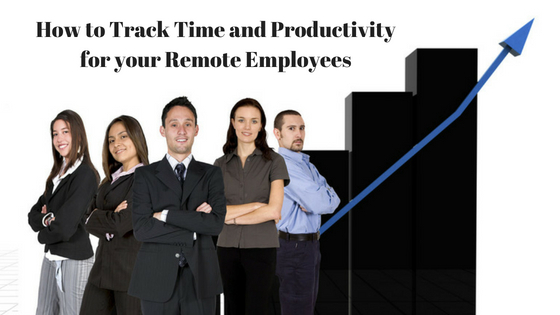 Previously, there were not many ways to track the productivity of the Remote employees. It all was analysed only when the work was done and delivered and more often than not it was too late as nothing much could be done to improve the situation after that point. Today, there are many ways to visualise the productivity of the Remote Employees. Some applications provide the feature of graphs to measure the productivity. More often than not, these graphs are essentially a representation of number of hours spent versus the time. This clear representation of the productivity makes it easy for the employers to make good decisions for the business. 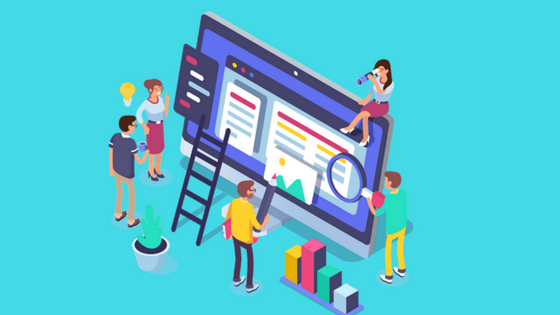 Some applications rely on evidence and visual data in shape of Screenshots to measure the productivity of remote employees. The screenshots are classified into billable and non-billable hours and hence let the employer know if the employees are spending too much time on non-work related activities. With the immense support of wonderful technologies like StaffTimerApp, Remote work is becoming an undeniable reality and making the lives of people easier.